When you write content for the web, there’s the fast way, and the right way – and the two meet somewhere in the middle for most. If you’re not worried about reach and pickup of your content, worrying about having properly placed links, keywords, headings, images, etc. shouldn’t bother you. If you want maximum exposure in the search engines, you need to think about all of those things – as well as readability. Training your writing habits to naturally include optimization will save you so much time in the long run. After all, where is your time better spent? Creating new content; or going back and fixing old content to be better optimized? Before I share some habits it’s a good idea to touch on what I mean by “optimized content.” Optimizing your blog posts includes putting keywords in the right places, adding internal links and external links correctly, without making the page unfriendly to users and hard to read. Read on for tips on writing optimized content. First, good content is readable content. You can write for a search engine, but if a person can’t read it, or doesn’t want to read it, you’re wasting your time. Writing optimized content is writing user AND search engine friendly content, and if you do it right, they should be one in the same. I have 5 habits I try to follow to make sure I don’t have to go back and optimize content. Use a descriptive keyword phrase in the title – descriptive of content first, search engine friendly second. Use a phrase that users would type to find your content. Add in links to related content from your post or page. If you can, and if it makes sense, make those links keyword rich. If you’re linking off-site to a resource, make sure that link opens in a new window or tab. Optimize your support content. image file names should contain a descriptive keyword, use your alt tags wisely and describe the photo with descriptive words. Write your Page Title and Meta Description as you write the article, don’t wait until later. Try a plugin or system to help you increase your chances. I like Yoast WordPress SEO plugin, and I have heard EXCELLENT things about Scribe from CopyBlogger. They help you find keywords to compliment your topics without having to do extra research in a separate tool. I want to emphasize, never throw out readability in favor of search engine optimization. Make your writing readable, but make it usable by search engines as well. If you develop habits and do this as you write, it will eliminate the need to “go back” and make changes later. 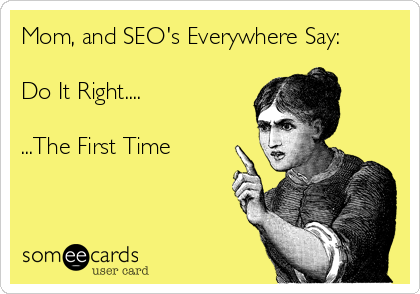 This entry was posted in keyword research, SEO by Carrie Hill. Bookmark the permalink.